16389 Private William Eales, 2nd Battalion, Alexandra, Princess of Wales’s Own (Yorkshire Regiment) was killed in action 8 July 1916. He is commemorated on the Thiepval Memorial to the Missing of the Somme, the St. Helen’s Colliery Memorial Cottages, West Auckland War Memorial and the Roll of Honour, West Auckland Memorial Hall. William Eales was about 41 years old, a widower and father of Irene Eales. The service record of 16389 Private W. Eales and the war diary of the 2nd Battalion, the Yorkshire Regiment (otherwise known as the Green Howards) have not been researched. The official history, “The Green Howards in the Great War” by Colonel H.G. Wylly 1926 is a prime reference. The 2/Green Howards (2/GH) at the beginning of the war came under the orders of 21st Brigade, 7th Division and landed at Zeebrugge 6 October 1915. The 21st Brigade was transferred to 30th Division 20 December 1915. The 7th and 30th Division saw action in Flanders and France throughout the war. During March and April 1915, the 2/Green Howards received drafts numbering 19 officers and 493 other ranks. The 2/Green Howards, 21st Brigade was under the command of the 7th Division at this time. 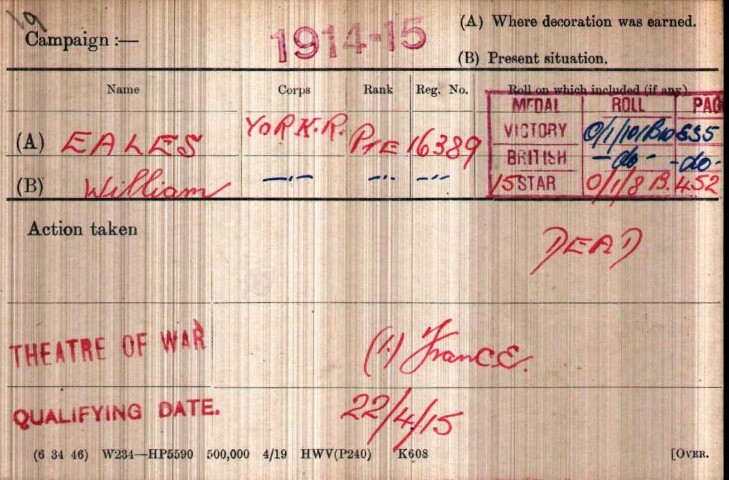 22 April 1915: Private W. Eales entered France. Within 3 weeks of his arrival, the battalion saw action at the Battle of Festubert. 15 May: enemy shelling, 7th Division to attack in the direction of Violaines (20th & 22nd Brigades in the front line, 21st Brigade in reserve). 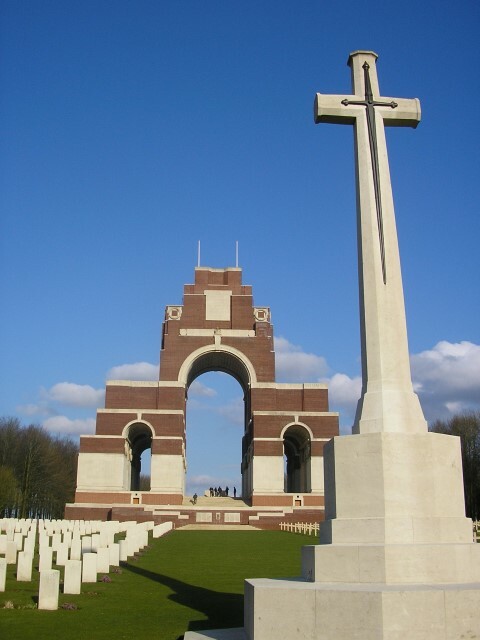 The next major offensive in which the 2/GH was involved was the Battle of the Somme which commenced 1 July 1916. The objective of the 30th Division was the village of Montauban and the division advanced with the 89th Brigade on the right and the 21st on the left. The battalion HQ was Avenue Trench. Two platoons of D Company were detailed to 18/King’s and 19/Manchesters for “cleaning-up” operations. The front to be attacked by the Brigade extended from the junction of Glatz Redoubt with Dublin Trench on the right to the railway line to the left. 1 July: The assaulting battalions were the 18/King’s and the 19/Manchesters with the 2/GH in support and responsible for occupying and consolidating the German front and support lines once captured. Immediately after crossing No-Man’s Land, A Company came under heavy machine-gun fire and suffered severely – the battalion had some 200 casualties crossing No-Man’s Land. The survivors pushed on and reached the German trenches to consolidate the gains but were engaged by an enemy machine-gun. By 3.00pm, the CO decided to hold the German front line only and withdrew B Company into it. 90th Brigade had gone through other trenches and occupied the village of Montaubin by about 9.00am but the 2 “cleaning-up” platoons had been practically wiped out while crossing No-Man’s Land and only Corporal Peat and one or two men reached the enemy trenches. Work of consolidation continued. 7.30pm the battalion was withdrawn to Headquarters Avenue. 5 July: Reorganising and clearing up. 6 July: 21st Brigade informed that it was to attack Trones Wood next day. 7 July: Attack postponed, marched to Talus Boisee to a position west of Bernafay Wood with orders to attack and capture the southern portion of the wood. 8 July: 7.15am – C Company entered Bernafay Wood followed by the Battalion Bombing Sections, D Company, B Company and A Company. 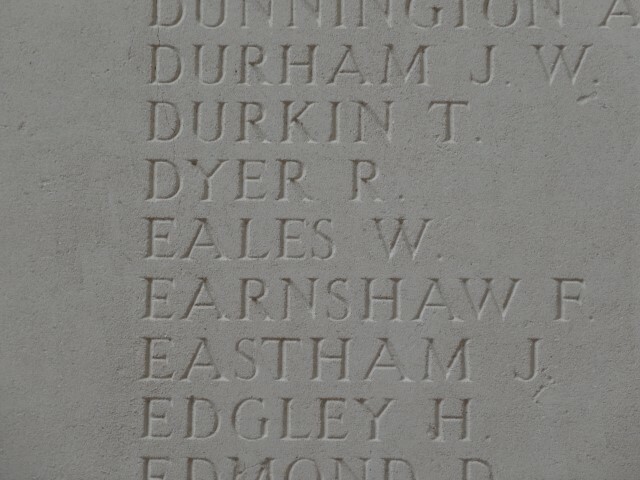 Later research records that between 1 and 8 July 1916, 2/GH lost 4 officers and 121 other ranks, 4 officers and 62 ORs on the opening day and 45 ORs on the 8 July,  one of whom was Private W. Eales. He has no known grave. The 30th Division is credited with the capture of the village of Montaubin. The Battle of the Somme continued with the Battle of Bazentin and many more offensives. 16389 Private William Eales was awarded the 1914-15 Star, the British War and Victory medals.